Mackay Road Runners had the awesome support of Construct Health Physiotherapy as sponsor for the annual 3km Club Championship race. The last Club Championship event on the 2018 program was held from Queens Park at 4pm last Sunday in perfect running conditions. 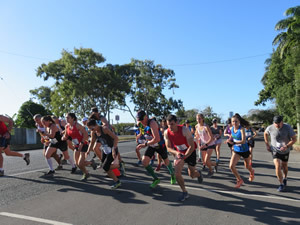 Construct Health Physiotherapy have been of great support to the Mackay road running fraternity with their invaluable assistance at this year’s Mackay Marina Run as well as the Club Championship event. 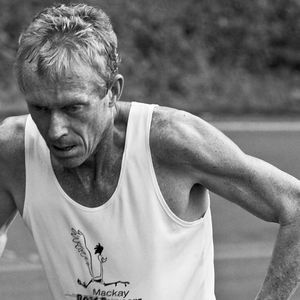 Mackay Road Runners looks forward to a long and strong association with Construct Health Physiotherapy’s team of well-respected professionals. 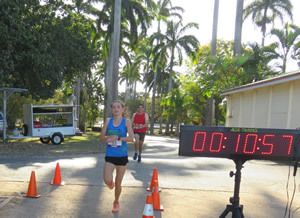 Meanwhile, there was a sensational result in the 3km, where the female winner, junior runner, Rachel Silvestri was also the overall winner of the thirty plus field of talented athletes. Rachel has just come off a spectacular running season including cross country racing for Queensland at the National Cross Country Championships less than a month ago. Rachel posted a super time of ten minutes 57 seconds after a sizzling sprint to the finish line with Nick Rewald, who was just two seconds in deficit to be the first placed male. Second placed, female, Kylie Harbour also ran well to be fourth overall, one minute behind second placed male Leon Ryan, with third male Steve Oberg scorching over the course taking the final valuable open club championship point. Third placed female Ainslie Heinke also collected the final open club championship point in an excellent effort after being sidelined by injury for several weeks. Great racing also was on show by Ross Connor (4th male), Jason McCord (5th male), Carolyn Steginga (4th female), Andrew Short (6th male) and Leon Else (7th male). Talented veteran runner, Judy Zahn excelled as usual placing ahead of Jose Short, Alan Zamparutti, Carmel Mahon, Mark Takagaki, June Bradley, Karla Hook, Dannelle Thompson, Janelle Tilse, Paula Easton, Jo Ashford, Stuart Sprott, Carol Brown, Brenda Windsor, Jan Smith and Leanne Connor. Many thanks to race day volunteers, Timekeeper Peter Wright, Registrar Paul Tilse, course setup Andrew Short and Tim Magoffin, photographer Jo Hughes and her assistant Kim Saron. Construct Health Physiotherapy’s support was much appreciated via their generous sponsorship of cash random draw prizes to some very excited recipients! As the 3km was the last handicap points event for the year, runners are now looking forward to this Sunday 5km social Jungle run commencing 6.30am from the Botanic Gardens, playground end of Lagoon Street. Please note this is a morning run so that the afternoon is free for all rugby league fans to enjoy the NRL grand final games.